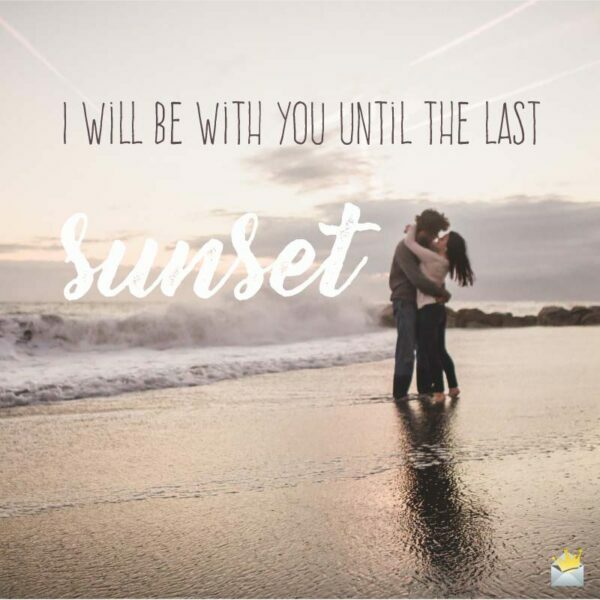 If you are looking for outstandingly beautiful love quotes to send to your husband, we’ve got you covered. 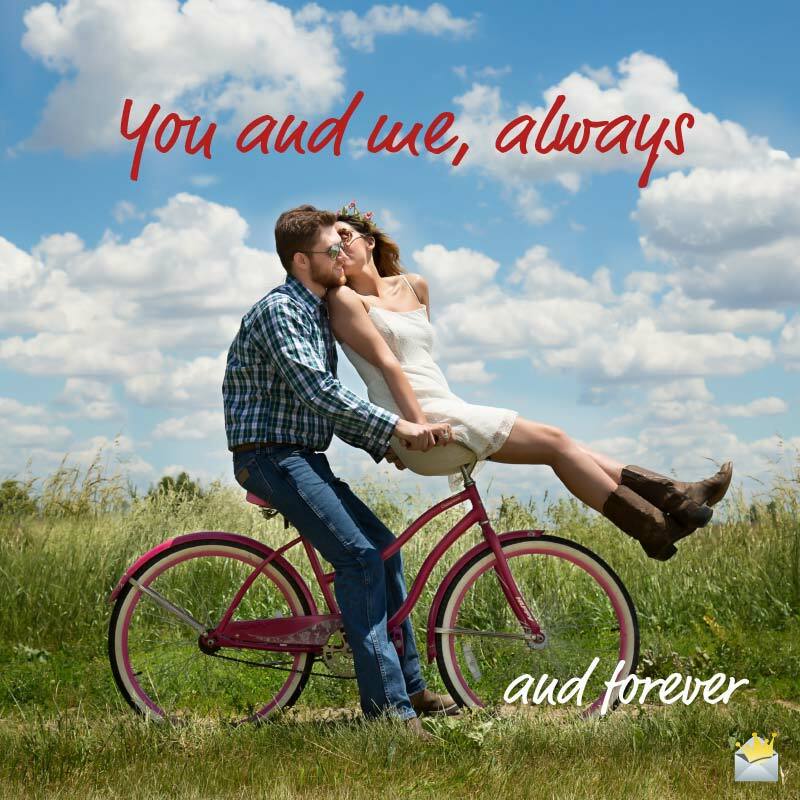 Here we have plenty of sweet texts to inspire you come up with that perfect romantic message to make that amazing man in your life feel loved, appreciated and thankful that he chose you to be his partner for life. Go ahead and make your marriage happier and stronger with the help of the contents below. Babe, just like the sun, you are of incalculable value to me, and I love you so much. When I’m with you, whether in bad times or good times, I still have a heart brimful of happiness because you are my paradise. Darling, you are the crowning fortune of my life. There are only one or two things in the world that are so precious they are without price. Your love is one of them. Thank you for giving it me from the bottom of my heart. I am blessed with a husband whose love is inestimably precious to my life. I love you, honey! Thank you for attaching your life to mine. Together, there’s no obstacle in our way that our amazing love can’t conquer. I’m so in love with you! Through thick and thin, my love for you will always be there for you because you are the beat of my heart. True happiness is the rarest treasure to find, but you give it to me every blessed day in diverse ways. You are truly the most wonderful spouse in the world, and I’m tremendously lucky destiny chose me to be the sole beneficiary of your amazing love. Thank you for making me feel like the most treasured and loved wife in the world. Babe, to me, your voice is the voice of God. I will love you and adore you until heaven calls me. You are the dearest person to my heart, and this is why nothing makes me happier than the fact that you are my beloved husband. Babe, there’s nothing I wouldn’t do to ensure that happiness reigns in your life. Darling, because you make me the happiest wife in the world, I have also vowed to do everything I can to make you the happiest husband in the world. I loved you from the moment I laid my eyes on you, and I will love you until the moment I close my eyes for the last time. Words alone will never be sufficient to express to you how priceless your love is to me. I’m so lucky destiny combined our hearts together. God’s love is of immeasurable worth to me, so is your love. I must have been the most wonderful person in my previous life to be blessed with the most wonderful man in this life. Being with you as your wife is nothing short of a dream come true for me. Never do I want to experience how life would feel like without you by my side. Despite being together for so many years, every moment with you still feels as wonderfully special as the first time you held me in your arms. I have a wonderful life because my husband is the most wonderful man in the world. Babe, I love you more and more with each kiss you plant on my lips. If forced to choose between being in paradise without you and being in hell with you, I would choose the latter, for my paradise is wherever you are. Every time you smile at me, I fall madly head over heels in love with you. Thank you for being my happiness. No wife in this world is as blessed as I am, unless she has been gifted with a loving and caring husband like you. Babe, thank you for bathing me in real happiness. I love you! 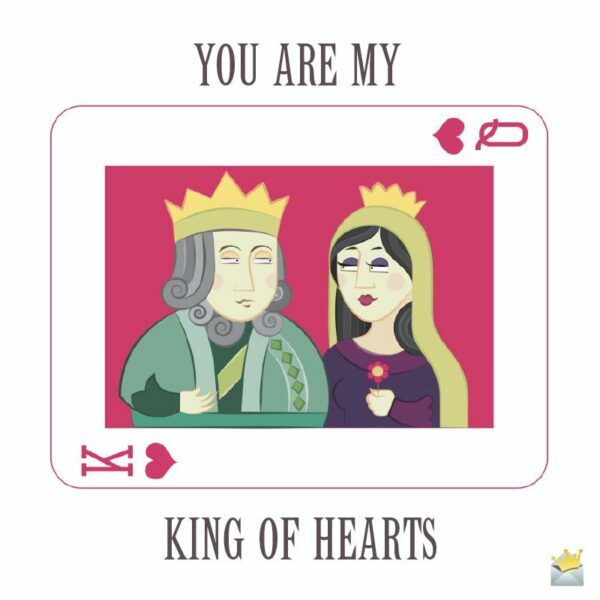 You are my King of Hearts. Darling, your heart and my heart are Siamese twins. You’re my world, and I will always love you with every inch of this body of mine and every beat of the heart residing in my bosom. When these two eyes of mine saw you for the first time, I instantly knew that you were the one I wanted to share the rest of my life with. My sweet husband, there is nothing more precious to me in this world than waking up beside you every single day of my life. I will love you until the moment my earthly journey comes to an end. You are my life’s delight because your love makes me blossom like a rose. You are to me, what Romeo was to Juliet. I love you so much. You’re my favorite man in the world, which is why my love for you cannot stop growing with every passing second. I thank God for making us soul mates. To fill my soul with sunshine and happiness, God sent me to no other man than you. And I will forever be grateful to Him. Your sweet love is as priceless as paradise. I will love you until my flesh perishes and I turn to dust. What is life without your love? Hell is what life without your love would be. Happiness never knocked on my door until you became mine. If you were not in my life, my life would surely be empty and colorless. I will be with you until the last Sunset. Every day of my life as your wife is my best day ever! Indeed, the greatest gift of my life was bestowed upon me the moment I fell in love with you. My favorite spot in the world is right in your warm arms. If I die and that spot isn’t available in paradise, I wouldn’t want to be there. Life is full of good and bad days. But since you came into my life, my world knows no bad days; only good days! Such is the amazing power of your priceless love in my world. Your amazing love is the most invaluable gift I have ever received. I’m so grateful that you are my husband, my absolute best friend, my protector, my true love, my soul mate, and my inspiration. In other words, you are my everything. I love you so much. My love, now that I have tasted your sweet lips, I don’t want to taste any other lips. I have a perfect genius for loving you because you are the forever king of my soul. Our love is true, and since true love never dies, you and I shall be together until the end of time. The mission of my life is to love you endlessly and put happiness in your heart because you give me happiness, beauty and love – which are the most important things in the world.